Nice wallpaper mrneilypops! Is it real photograph or 3D render? Wow! That right hand conky! Awesome. Ive finally bunsened openbsd. I was going to use obmenu-generator but that fails with the perl version in openbsd, anyone else had luck with it in a bsd? I instead used the menu.xml from bunsenlabs and modified it to openbsd. I like it. Stranger than fiction. What would life be without reality. I was going to use obmenu-generator but that fails with the perl version in openbsd, anyone else had luck with it in a bsd? not openbsd, but i used to have perl version trouble too, with obmenu-generator. troubleshooting: run it from command line, show us some output etc. you know the drill. 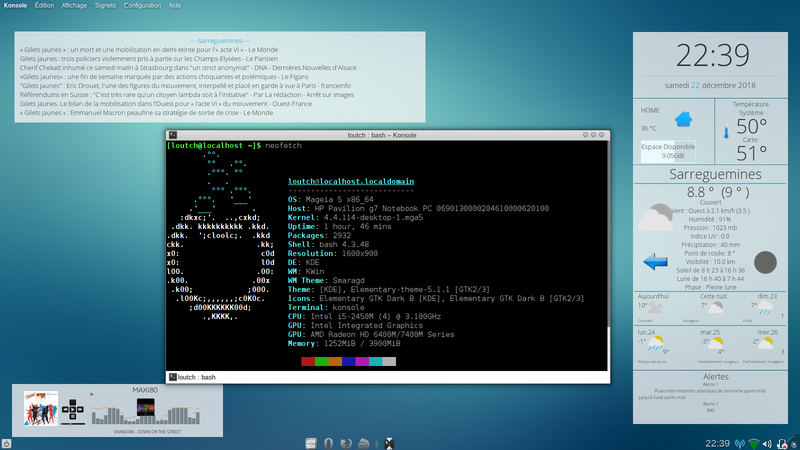 I've been playing with OpenBSD too lately - not to replace my BunsenLabs setup, but on an old laptop. I didn't go as far as you have in terms of labifying it I just copied the most essential dotfiles across. It's been an interesting journey of discovering what commands/services/etc are Linux specific. Because we don't know when a manipulated image is meant to be manipulating the audience. The output says it needs some GDBM module but the perl openbsd uses is not built with it and i have no idea how to rebuild perl with that module file, you cant just install it via cpan ive googled it. [*] A dynamic menu has been successfully generated! Can't locate GDBM_File.pm in @INC (you may need to install the GDBM_File module) (@INC contains: /usr/local/libdata/perl5/site_perl/amd64-openbsd /usr/local/libdata/perl5/site_perl /usr/libdata/perl5/amd64-openbsd /usr/libdata/perl5 .) at /usr/bin/obmenu-generator line 441. And you know what I just lost the menu.xml file i modified today from the bunsenlabs one cause i didnt back it up before throwing that command, damnit! Anyhow, the line in the obmenu-generator file on line 441 says below. The most recent version "1.17" of the module "GDBM_File"
@malm it is a bit of a learning curve openbsd if you come from linux, ive been poking away at it for awhile now and seem to have learned the basics. Would be nice to put it on my laptop but openbsd dont play well with my nvidia card. http://www.bsdua.org/hotplug-diskmount.html --> same with this one. Mods if this is offtopic for this part of the forum ill create a thread elsewhere? Nevermind i figured it out ohnonot! I tried looking around in the openbsd ports tree and under /usr/share/ports/databases there is a build file called p5-GDBM_file, so built that and run obmenu-generator -p -i again and openbox --reconfigure and it worked! I haven't used xfce in a while. I'm loving the fuzzy clock setting for the panel. I'm not sure I like XFCE. It feels....I dunno...half done? My thoughts exactly. Its functionality is excellent, but the presentation is....not quite ready? Yeah exactly what I couldn't put into words. Yes, you can make it look amazing but like many DE's the vanilla setup is average at best. All I want for Christmas are sid upgrades. -edit- Gah, embarrassed. How could I forget to match my terminal background-color? Nice Pack. I am back on Surf. Love that browser.